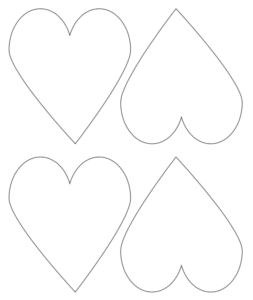 Grab these free printable heart templates and stencils in sizes from one inch up to ten inches! 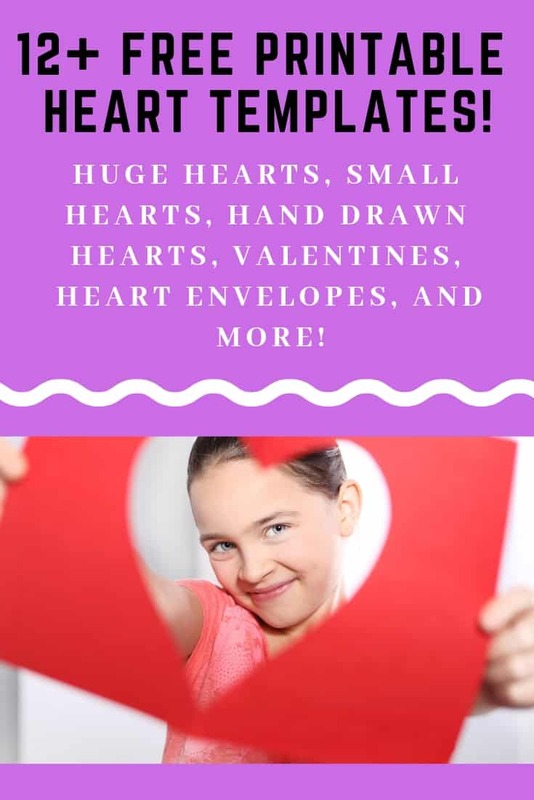 Over the years countless people have found this heart bookmark tutorial and these heart-shaped hand warmers while searching for free heart template printables. 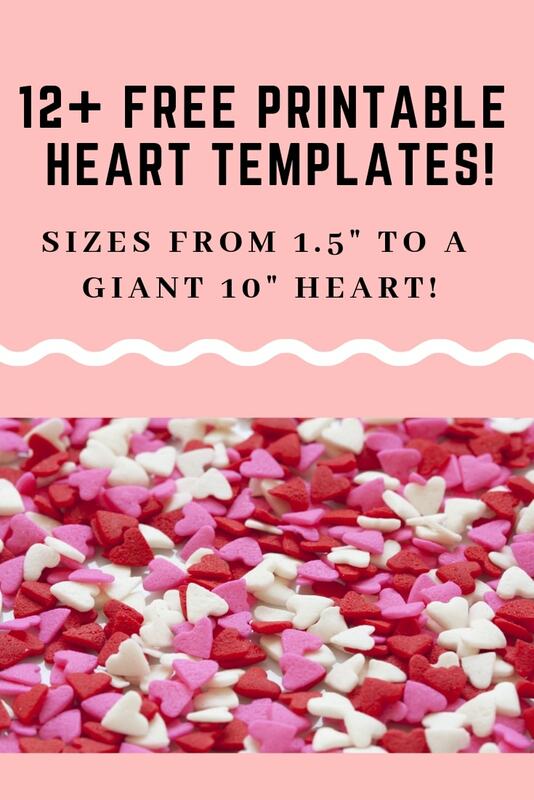 Since those post only have a couple small heart patterns and people have asked for a greater variety of heart patterns, today I decided to share a whole lot of heart template printables! 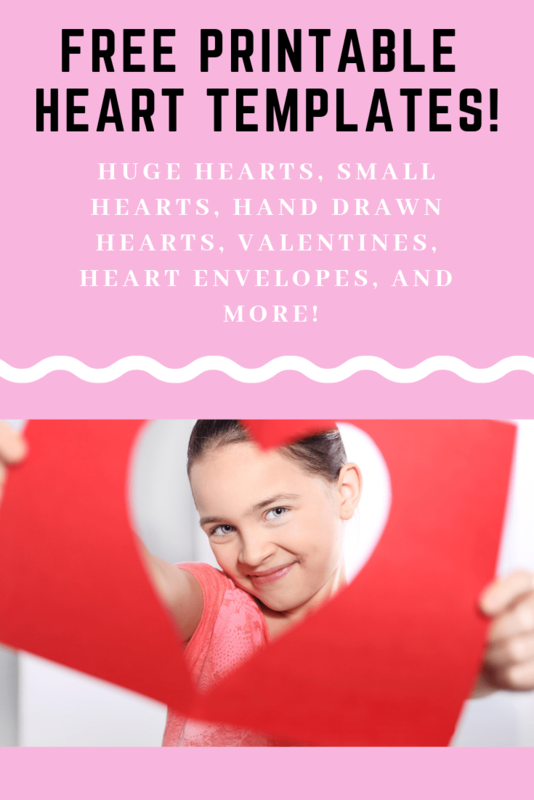 In this post you’ll find free printable templates for extra large hearts, rounded hearts, whimsical hearts, small hearts, heart envelopes, tattoo style hearts, and more! I hope you enjoy and please let me know if there’s a size or shape of heart I’ve missed that you want to see! 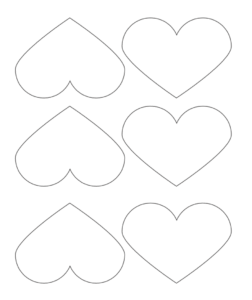 Cut out the hearts and use them as a pattern for felt, fabric, or paper. 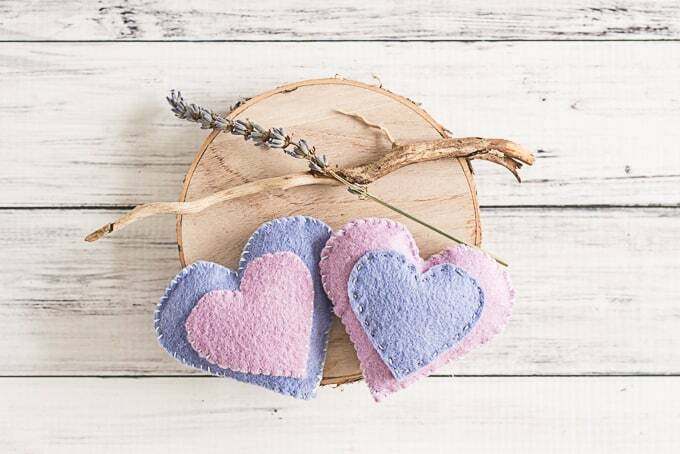 Use felt hearts to make fairy wands, hand warmers, or ornaments. 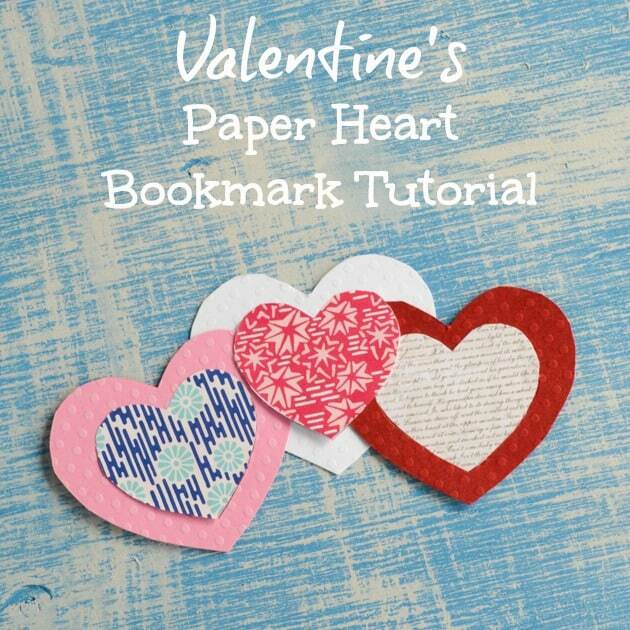 Use paper hearts to make bookmarks. Use small hearts to decorate straws for a party or baby shower. Cut the central portion out to make a stencil. Use your stencil for projects like toothbrush painting or with color mists to decorate a shirt or for scrapbooking, card making, etc. 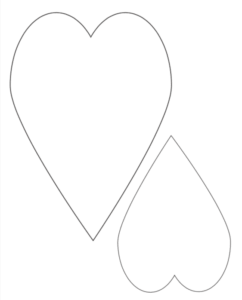 Stencils are also great for making stained glass projects with oiled paper or tissue paper! 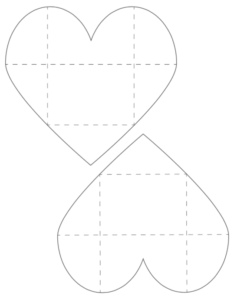 Print medium or large hearts on cardstock and string them into twine to make a banner. 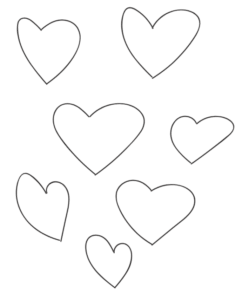 Make super easy garland by printing the hearts to cardstock and using clothespins to clip them to twine! 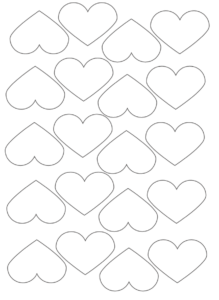 Print small hearts and sew them together into garland. 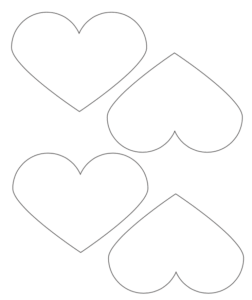 Use the hearts as fine motor practice with scissors for your kiddos. All of these templates are available free for you to download – no sign up required! 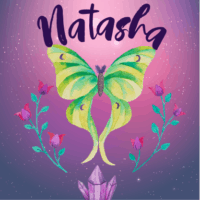 If you enjoy them and would like to say thanks, please enroll in my monthly newsletter using the box at the bottom of this post. 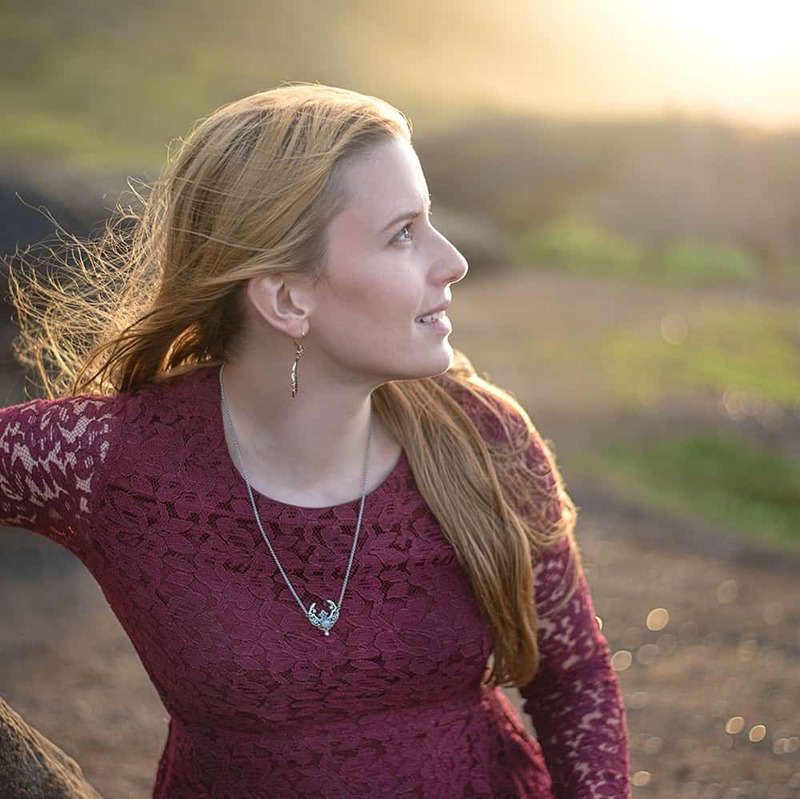 You’ll gain access to a library of resources including a 30 day printable gratitude journal coloring book! Before we get into the printables, I know from personal experience that cutting a zillion tiny things by hand is very tedious. 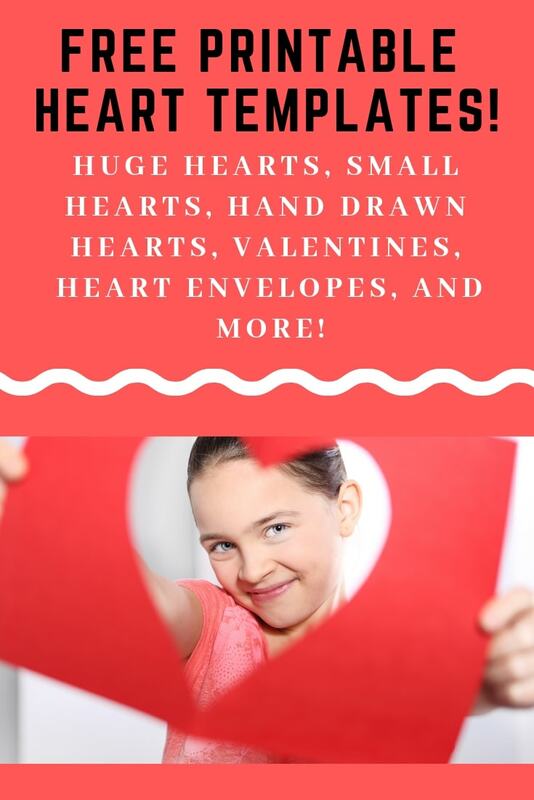 If you need lots and lots of small hearts, consider doing yourself a huge favor by getting a large heart paper punch like this one. All files are hosted on Google Drive. Just click the links to download! 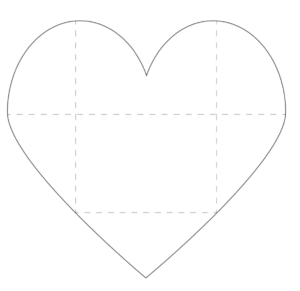 First, here’s extra large heart template printable! This one is a huge 10″ tall and takes 2 sheets of paper. Print the template twice and cut each out. Flip one pattern piece so the printing faces away from you. Hold the pieces up to a window so you can easily align the two parts of the pattern and tape them together. 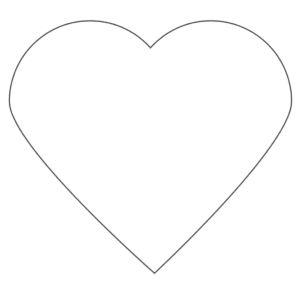 Voila, huge heart template! This one is a super easy valentine. 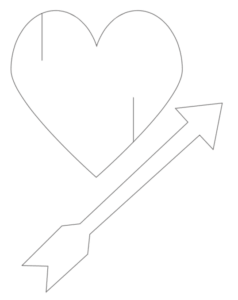 Cut out the heart and arrow, then cut slits in the heart for the arrow! You can use this as a pattern or just color the print out. The heart envelope is a classic! 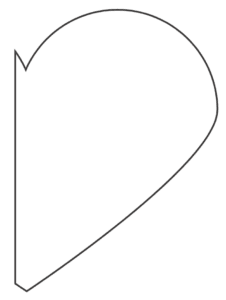 Cut out the heart shape, then fold the left side towards the center along the dashed line and the right side towards the center (also along the dashed line). Fold along the dashed line from the bottom down, then finish the envelope by folding along the bottom line up! Seal it in place with a sticker or some cute washi tape. 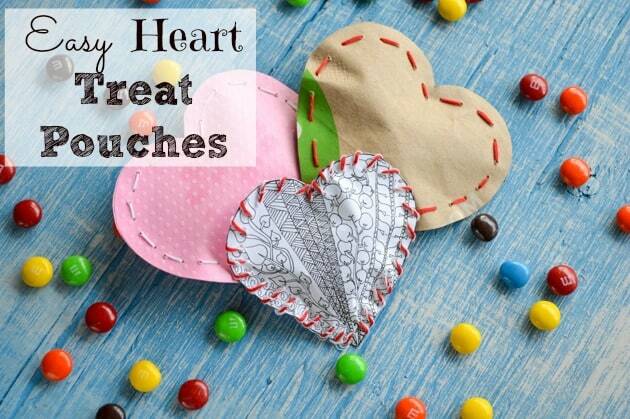 If you like heart-shaped crafts, you may also enjoy these heart hand warmers! 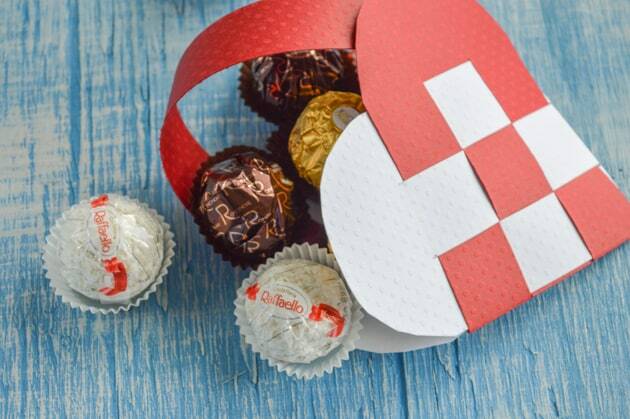 Lastly, there are these heart treat pouches for Valentine’s Day! 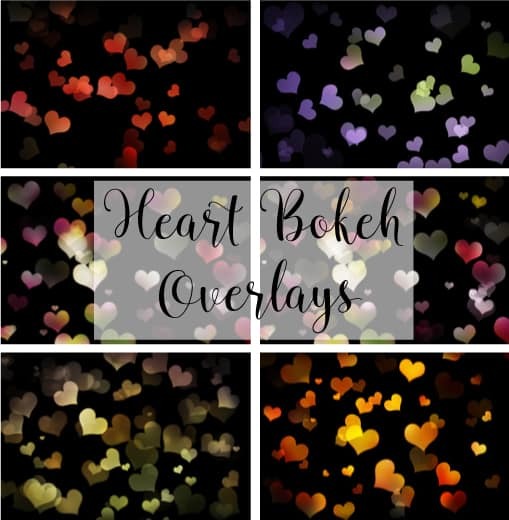 And, last but not least, if you’re into photography you may enjoy these heart bokeh overlays! 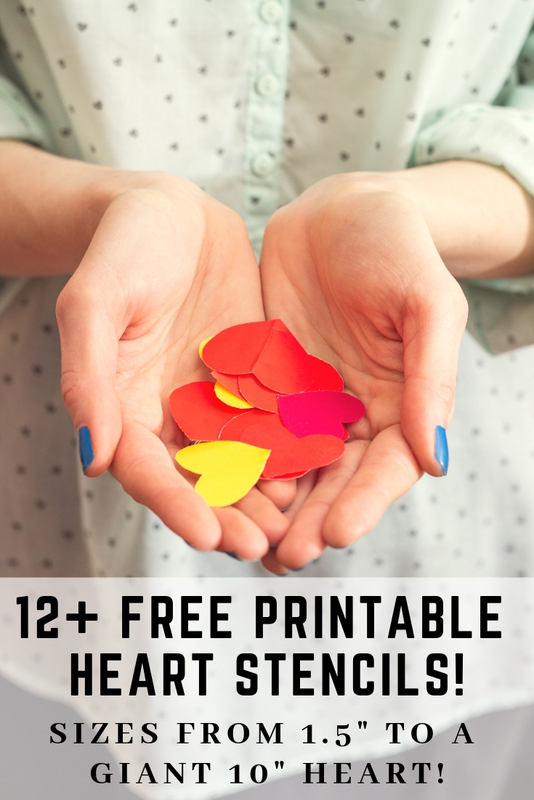 I really hope you enjoy these heart template printables! 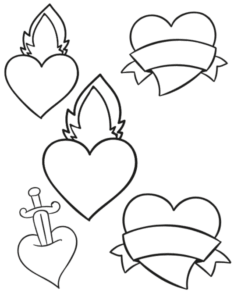 Again, please let me know if there are any sizes of heart you’d like to see added! Great, easy crafting ideas. 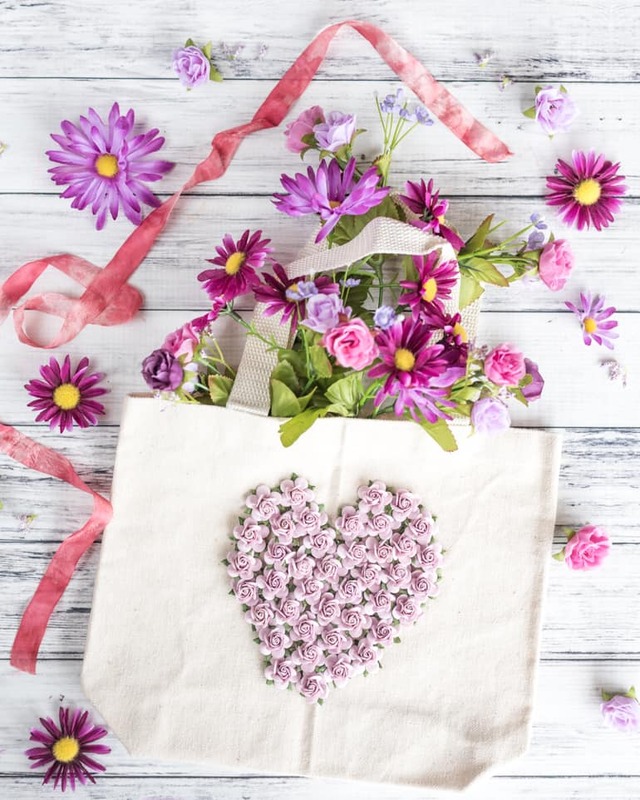 Valentine’s Day will be here again before we know it! Yes, December and January always seem like such a blur! I’ve had so many people find those other posts over the past few years looking for hearts and I’m glad to finally have a greater selection to offer!